On his first official foreign trip to Pakistan, Chinese Prime Minister Li Keqiang says his country acknowledges the positive contribution Pakistan has made to achieve desirable regional peace and stability, combat terrorism and promote development. He has insisted the international community to extend Pakistan full understanding, recognition and necessary support. On his arrival he has a detailed interview with Pakistani journalists. 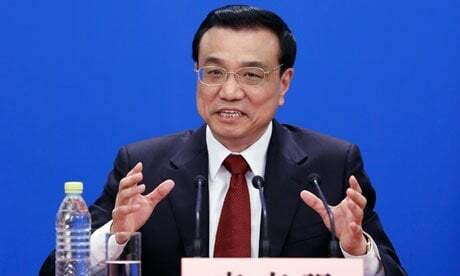 Li Keqiang PM uttered China’s continued and firm support to Pakistan on fronts including upholding its independence, sovereignty and territorial integrity and achieves national stability and development. “This is what China-Pakistan comprehensive strategic partnership of cooperation is all about” he added. Chinese Prime Minister Li highlighted the value of Pak-China strategic friendship and said Pakistan-China ties “transcend the changes of the times and politics and represent a fine example of friendly state-to-state interactions.” He said China and Pakistan enjoy a long-standing friendship. “It has withstood the test of wind and rain and grown stronger and more vibrant with luxuriant leaves” he added. Q1: We have learned that you made your first visit to Pakistan 27 years ago. Could you tell us what impression you got on that visit? This is your first visit to Pakistan since you took office as Chinese premier. What expectations do you have for this visit? 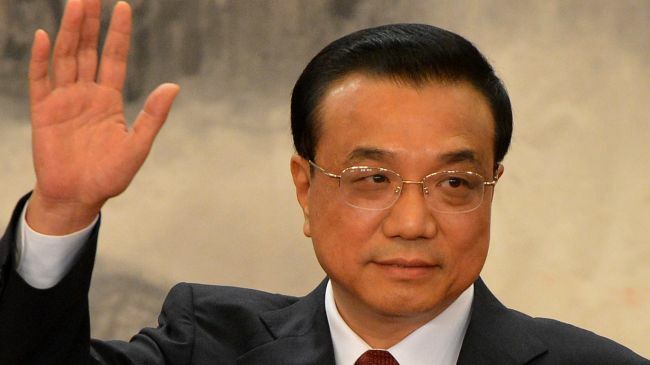 Li: When it comes to Pakistan, the first word that comes to the mind of the Chinese is “iron brother”. To us Chinese, Pakistan is always a trustworthy friend who is as solid as iron. Actually, Chinese netizens refer to Pakistan as Iron Pak. This testifies to the strength of China-Pakistan friendship. In 1986, I led a youth delegation to Pakistan. Wherever we went, in Islamabad, Lahore and Karachi, we were greeted with rapturous welcome. The petals showering on us and brightly smiling faces are still fresh in my memory, as if it happened only yesterday. I will never forget the goodwill of the Pakistani people. Now back in Pakistan again, I feel very much at home. I find Pakistan a country on the move. I am paying this visit to enhance our friendship, deepen cooperation and chart the course for growing China-Pakistan ties. In recent years, the Pakistani people have, with unremitting efforts, overcome numerous difficulties and made continuous progress in national development. Pakistan plays an active role in regional and international affairs and is an important force for upholding peace and promoting development of the region. I salute the unyielding spirit of the Pakistani people, and China has every confidence in the future development of Pakistan. I wish to extend congratulations to Pakistan on its successful elections. I look forward to discussing with Pakistani government and public leaders ways to deepen China-Pakistan comprehensive strategic cooperation in a new era, so that our two countries will be better able to meet challenges, achieve common development and lift China-Pakistan relations to a new high. Please convey the warm greetings and best wishes of the Chinese government and people to the Pakistani government and people. Q2: China and Pakistan are all-weather partners of strategic cooperation. China-Pakistan relationship is often viewed as a special one by the international media. What is your view on this relationship? Li: China-Pakistan relationship is indeed special, because it transcends the changes of the times and politics and represents a fine example of friendly state-to-state interactions. China and Pakistan enjoy a long-standing friendship. Over the past 62 years since the establishment of diplomatic relations, the seed of China-Pakistan friendship sowed by Mao Zedong, Zhou Enlai, Zulfikar Ali Bhutto and other leaders of the older generation has grown into a towering tree thanks to tendering by several generations of Chinese and Pakistanis. It has withstood the test of wind and rain and grown stronger and more vibrant with luxuriant leaves. Today, China-Pakistan relations have acquired a new dimension of the times. The establishment and deepening of China-Pakistan comprehensive strategic partnership of cooperation meets the common interests of both our peoples and enhances stability and development in our region. I wish to take this opportunity to reiterate to the Pakistani people and the international community that the new Chinese government will continue to pursue a policy of friendship with Pakistan. We will work together with Pakistan to uphold and grow China-Pakistan relations and take more pragmatic steps to bring more benefits to our two peoples. China and Pakistan should remain good, trustworthy partners and good, sincere and reliable brothers. During this visit, the two countries will issue a joint statement on deepening China-Pakistan comprehensive strategic cooperation. It will map out a grand blueprint for the pursuit of common development by both countries. We are confident that this will instill new impetus into China-Pakistan cooperation and enable China-Pakistan relations to make greater strides forward from a new starting point. Q3: In recent years, China-Pakistan political ties have become increasingly close. But their economic relations have not grown fast enough. To strengthen business ties with China has become an important concern of Pakistan. Will you bring any new initiatives to boost our business ties during this visit? Li: Political and economic relations are like the two wheels of a bicycle, which are mutually reinforcing. The political bond between China and Pakistan is unbreakable and our business ties as a whole have maintained growth momentum. Pakistan is the first South Asian country to sign a free trade agreement and currency swap agreement with China, and it is the largest destination of Chinese investment in South Asia. China is Pakistan’s second largest trading partner and fourth largest export market. Steady progress has been made in our cooperation in energy, infrastructure, telecommunications and financial sectors. But there is great potential to be tapped in China-Pakistan economic cooperation. China takes its trade imbalance with Pakistan seriously and is taking measures to address this issue. Pakistan’s export to China last year increased by nearly 50%. This has enhanced our confidence. China will step up consultation with Pakistan on second phase tax reduction negotiations under the framework of China-Pakistan Free Trade Area. I have given instruction that a Chinese trade and investment promotion delegation be sent to Pakistan to pursue various cooperation projects. During my visit, I will also talk to Pakistani leaders about the formulation of a long-term plan for boosting bilateral business cooperation. Our two sides should focus on carrying out priority projects in connectivity, energy development and power generation and promoting the building of a China-Pakistan economic corridor. Both China and Pakistan have a big population and broad market potential. China is fully implementing the strategy of development in China’s western region and expanding westward opening, and Pakistan is also in a crucial stage of development. The Chinese government will continue to encourage Chinese companies to invest and do business in Pakistan. We also welcome Pakistan to participate in projects for leapfrog development in Xinjiang. Our two countries should draw on each other’s strengths, jointly unlock cooperation potential and bring more tangible benefits to our two peoples. 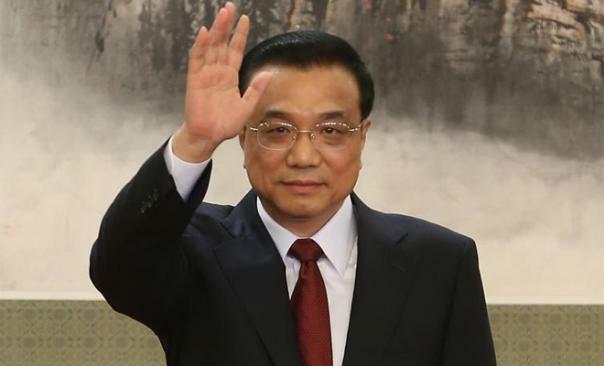 Q4: You have chosen South Asia as the first destination of your first foreign visit as Chinese premier. You will visit India first and then Pakistan. Would you talk to us about China’s policy towards South Asia? Li: South Asia is important in boosting the development of Asia. It is a vibrant and promising region. Peace, stability and development are the common pursuit of countries in this region. China shares borders with five South Asian countries. China’s destiny is closely connected with that of South Asian countries in both good and hard times. We hope that countries in the region will live in friendship and cooperation and build South Asia into a land of unity, stability, happiness and harmony. We recognise the positive contribution Pakistan has made to maintain peace and stability, combat terrorism and promote development in South Asia as well as the huge pressure from various sides on it. The international community should give Pakistan full understanding, recognition and necessary support. On behalf of the Chinese government, I wish to reiterate solemnly China’s continued firm support to Pakistan in its efforts to uphold independence, sovereignty and territorial integrity and achieve national stability and development. This is what China-Pakistan comprehensive strategic partnership of cooperation is all about. Q5: Many people outside China follow with great interest domestic and foreign policies of the new government in China. They want to know whether China will seek hegemony when it grows stronger, and some are concerned whether China can sustain growth. How would you address these two concerns? Li: In my view, such concerns are uncalled for. As an old saying in China goes, “To raise a family, one needs to know the price of rice and firewood.” As the premier of a big country of 1.3 billion people, what I have to face every day are the “seven daily necessities of a family”, namely, firewood, rice, cooking oil, salt, soy sauce, vinegar and tea. In other words, I need to address issues that affect people’s lives. The Chinese people want better education, more stable jobs, greater social security, improved housing conditions and richer cultural life. To manage well these seemingly “simple” things is not easy. China remains a developing country. To achieve modernisation is an arduous task for us. The pursuit of peaceful development is not just a foreign policy goal; it is also determined by China’s reality. China will not seek hegemony even when it grows stronger. Having had a full share of sufferings in modern history, we Chinese believe that you should not do unto others what you do not want them to do unto you. In the era of globalisation, interdependence is the basic feature defining state-to-state relations. The law of the jungle is not the way to govern human society; only mutually beneficial cooperation will make the world a better place. I want to stress that to pursue peaceful development is the unshakable resolve of the Chinese government. Likewise, to uphold China’s sovereignty and territorial integrity is also the unshakable resolve of the Chinese government. These two principles go hand in hand and conform to norms for maintaining regional stability and international peace and order. Disagreement and frictions among countries are unavoidable. What is important is how you deal with them. One could either take an intransigent approach to these issues and hype them or properly handle them through consultation based on mutual respect. This is a yardstick to test whether a country is broad-minded. It is only in recent years that the Chinese have started to lead a good life. We cherish such good times, and want to embrace the world with a more open mind. And we hope that others will look at China with the same open mind. As a major developing country, China will work with other countries to uphold peace and prosperity in the 21st century. China still faces a grave and complex external environment in pursuing development. The global economic recovery remains weak, protectionism resurfaces from time to time, and the monetary policy of quantitative easing as pursued by some countries may cause negative impacts. We are proactively coping with these issues and stepping up cooperation with other countries. We have confidence in China’s economic development because a solid foundation has been built in the past 30-plus years of reform and opening-up and there is huge potential for further development. China will continue the policy of reform and opening-up and maintain sustained growth by pursuing industrialisation, IT application, urbanisation and agricultural modernisation. This will create more opportunities for the global economy.